Kanyirninpa Jukurrpa takes old people to Canberra, to Perth, to give talks to the Government, to teach them. They will listen to what the Martu are saying. When the old people and the young people speak to Government, their words will fly back home, quickly with the wind, so that the people in the communities will feel strong and proud of them. KJ is governed by a board of 12 Martu directors and three non-voting advisory directors. 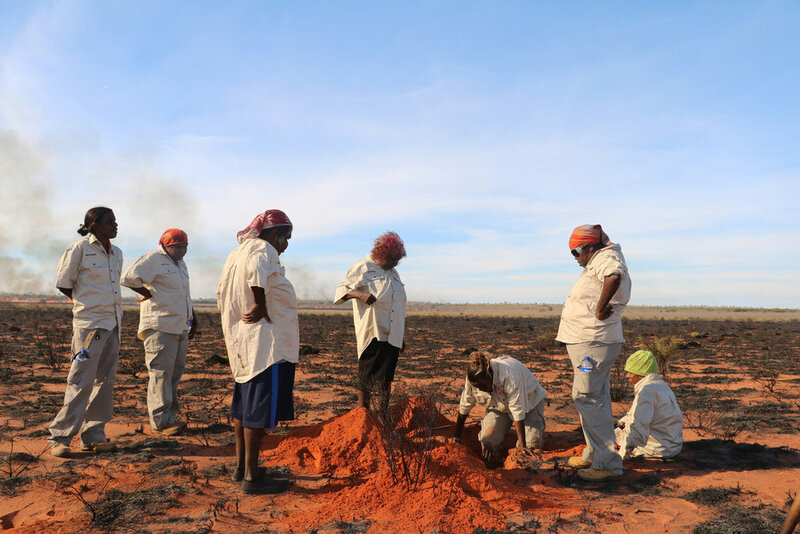 Each of five Martu communities are represented by two directors, with a further two representing the Martu diaspora. how the board will conduct its business and the way directors should behave in their roles. KJ has a senior Martu Cultural Advisor Muuki Taylor who has provided advice to the organisation since its formation in 2005. This role has been important in providing strong governance and leadership by Martu. The chair of the board meetings is rotated at every meeting between the Martu directors. KJ standard practices ensure transparency and accountability in its financial management, which one former Commonwealth minister described as exemplary. Directors are elected for a two year term, with half retiring each year. This practice allows many Martu to have the opportunity to participate at board level, and ensures a continuing knowledge of corporate history and practices. Advisory Directors provide expertise in financial management, regulatory compliance, law and prudent management advice but cannot vote, ensuring that Martu have genuine control of major decisions. A summary of the board deliberations are circulated to directors in each community in a simple, visual format to provide feedback to communities. KJ’s Board invites a number of Martu elders to attend board meetings and provide cultural and political advice to the board in its deliberations. In 2016, KJ was awarded the Highly Commended Prize at the Indigenous Governance Awards.